Albert Einstein wrote: “Compound interest is the eighth wonder of the world. He who understands it, earns it ... he who doesn't ... pays it.” Many people do not appreciate the true compound cost of interest over time until they see the numbers side by side. Not only do interest costs add up over time, but cars also depreciate quickly. A new car may depreciate as much as 10% to 20% the day it is driven off the lot. Buying a rapidly depreciating asset at a high rate of interest discounts your future labor. Many car dealers make more money from selling financing & insurance than they do from selling cars. UK magazine publisher Dennis Publishing stated: "the margin on a car bought on finance is around $1,400, while it’s $482 for one bought outright." Arranging financing before going to a dealer can save you a lot of money, particularly if you are buying a used car or have a poor credit score. The economics in the United States are similar. An April 7, 2019 article in the Wall Street Journal stated: "Dealerships made an average of $908 per new vehicle last year on their finance and insurance business, far more than the $420 they earned off the actual vehicle sale, according to research firm J.D. Power." Even as average transaction price has increased by thousands of dollars, gross dealer profit from new auto sales has declined from around $1,300 per vehicle in 2003 to $420 in 2018, making selling financing & other extras vital for dealerships to maintain profitability. Nearly 84% of new vehicle buyers rely on dealer financing. While new cars may instantly lose a lot of value the moment they are driven off the lot, many people buying used cars without first running the numbers & comparing their options can also lose big. Here is a Last Week Tonight video covering some of the shady aspects of subprime auto lending market. I had already done all of my used car research, but I used the comparison feature on your calculator to check the actual, real consequences of each of the loan offers I got. It really helped seeing them lined up in such a clear way. This is my first time financing a vehicle, and actually seeing the reality of those numbers and the differences in tiny little percentage points was enlightening. I just wanted to let you know that your website is incredibly informative without talking down to anyone or treating your visitor like they are dumb for not knowing how car buying works. Although I had managed to collect most of this information from sources here or there, you've got it all summed up beautifully. I sent your page to my sister and several other people I know who might be looking at financing for the first time in the next couple of years. Thanks for something so seemingly simple yet so necessary. I am quite receptive to feedback. For instance, I created a negative equity trade-in calculator the same day I received the following email from David. I love your car payment calculator, it's one of the most thorough and accurate ones I've found online. One suggestion though, I wonder have you ever considered adding the ability to calculate in any still existing lien on the trade. I've seen people brag they got $500 more on a cash offer than they would have in trade, when they would have saved $1000 worth of taxes if they had traded it in. Obviously, when someone is upside down, rolling that existing lien into a new loan is bad, but even then, adding this in to the calculator would allow folks to see HOW BAD by calculating the interest on that amount as well. Other feedback from our website visitors has also been instrumental in improving the site & adding new features to it. For instance, on the calculator on our homepage you can quickly generate a loan amortization schedule which also includes the estimated value of the vehicle at the time & how much equity the owner has in the vehicle over time. Vehicle owners can choose to set an upfront rate of depreciation on their vehicle along with an annual rate of depreciation, with the recurring depreciation being a value they can set to either increment at a static percent of the original vehcile value or to increment downward each year as the vehicle declines in value. And after entering their information, our visitors can then create a share link to save the calculation for later to compare different vehicle options or get the opinion of a co-signer before obtaining financing. I have redesigned this site about 3 or 4 times over the years. On desktop computers the design may look overly simplified, but that is in part because the site has been simplified significantly, as it has been designed primarily to look good on mobile devices & provide a great + fast user experience to people who are out shopping for a car. Nearly 75% of our website traffic comes from cell phones as shoppers run the numbers through our site to help verify what the salesman is telling them. Most the pages on our site are not text-heavy & if we have a significant amount of text on the page we typically try to put it (along with anything else) underneath the calculator, so our visitors can get to calculating their finances straight away. The homepage of our site has a fairly extensive buyer's guide for car shoppers, but we put most of that content behind accordions to keep the page light & make the calculator stand out more. What is with the lemon icon / favicon? It was an attempt at humor, but also a reminder to check twice and make sure you are spending your hard earned money on a good, reliable vehicle rather than a lemon that will have reliability issues & become a big money sink. My name is Sara Morrin, and I live in the Sin City of the South: Atlanta, GA. The idea for this site was started as a school project when I was a Junior in high school. We had an assignment in one of our elective classes. We were to find a free online tool or application to solve a current real-life 'problem' or 'decision', and to explain the details. At the time, I was working part-time as much as I could and saving up for a used car. I knew I would have to get a loan, and the calculation of interest & monthly payments were a primary concern. Every single Dollar from my job would be put towards the car payment, and I needed to pay it off before I finished my Senior year. This easily served as my 'problem' to solve for my assignment. 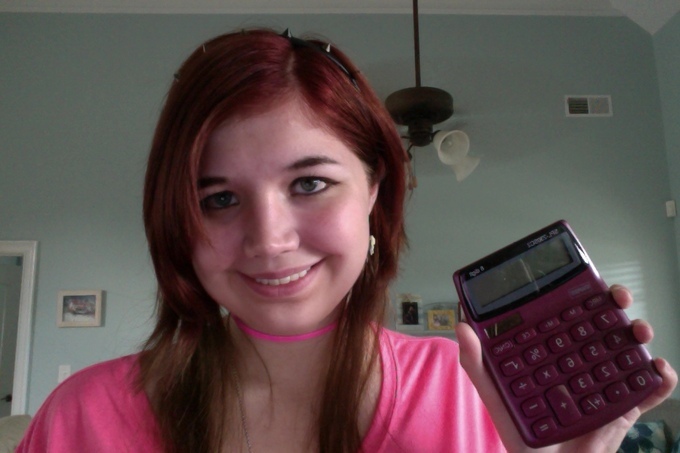 I used a few online calculators and finished my assignment easily. At the same time, I noticed many calculating features that were missing, which I would have liked to use. I asked my uncle, who is a long-time programmer, about the possibilities of creating these features for a better type of calculator. He advised me that it was certainly possible, and that he would help if I put forth an equal amount of effort. After 6 months of research and collaboration, we completed the site. So here it is - and here you are too! I'd want to give a special thanks to my uncle for all the help. Thanks Paul! Like many other Web sites, www.carpaymentcalculator.net makes use of log files. The information inside the log files includes internet protocol (IP) addresses, type of browser, Internet Service Provider (ISP), date/time stamp, referring/exit pages, and number of clicks to analyze trends, administer the site, track user’s movement around the site, and gather demographic information. IP addresses, and other such information are not linked to any information that is personally identifiable. www.carpaymentcalculator.net has no access to or control over these cookies that are used by third-party advertisers.